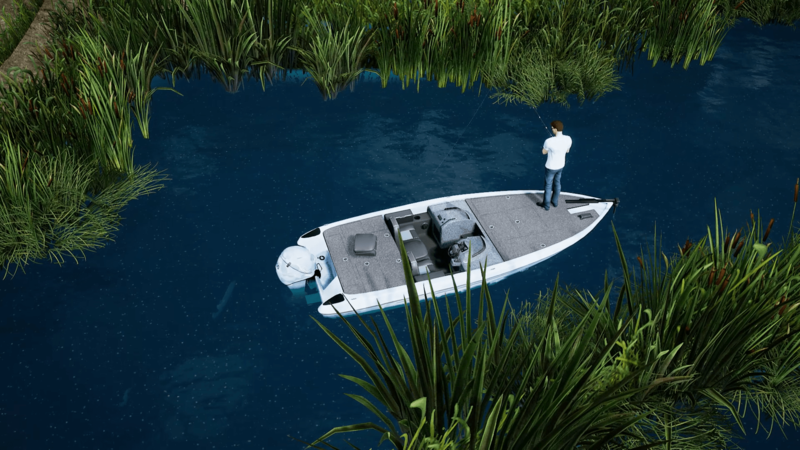 The trolling motor helps you find the perfect spot to catch fish on our American lakes. Find your spot Find a place on the lake where there is a lot of activity on the fish finder. If you are travelling at speed you will need to retrace your route to find the location of the fish. Locate a cluster of fish Using the trolling motor controls, navigate your boat to an area which shows a cluster of fish on the fish finder. Cast out and start catching Cast out and start trying to catch the fish.